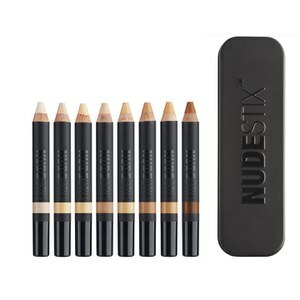 Shop the range of cruelty-free, vegan-friendly cosmetics from Nudestix here at Mankind. Designed to add a touch of colour to enhance natural looks, Nudestix offer a simple collection of easy to use makeup crayons, lip pens and other cosmetics to allow you to be the best version of yourself. Formulated with skin saving vitamins, antioxidants and moisturisers, they’re skin-friendly and include no gluten, parabens or preservatives. Vegan-friendly and cruelty-free, they offer amazing multi-purpose products you can count on. The Nudestix Lip and Cheek Pencil is suitable for all skin tones and comes with a sharpener fitting so you can fix your look on the go. 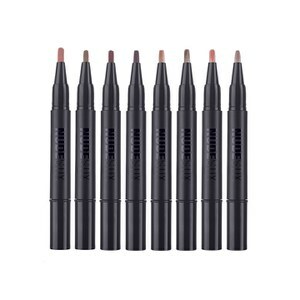 This all-in-one lip and cheek pencil is highly pigmented with colour and coverage, yet easily blendable for creating a range of looks. Formulated with shea butter and vitamin E, it hydrates, moisturises and tones the skin. 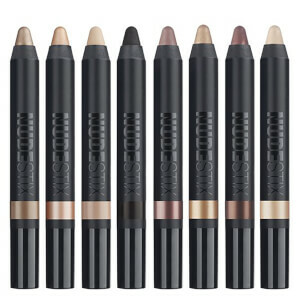 The Nudestix Magnetic Eye Colour is a blendable, waterproof and crease proof colour which works well on all skin types, including oily eyelids. 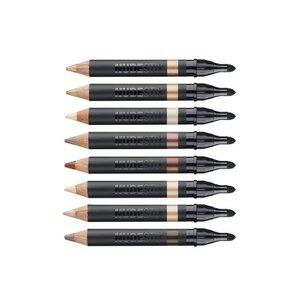 Designed to prime, line, colour and highlight, these durable crayons allow you to easily touch your makeup on the go. Available in a range of colours, you can combine them to create your very own unique look to compliment your skin tone.